We waxed poetic over a new collection of dwarf conifers last fall, and now that the season is changing, they’re rising back to the top of our recommended plants list. 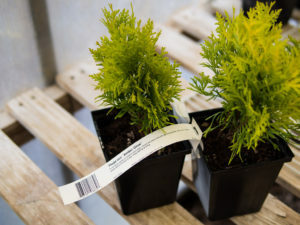 If you’re too busy to spend a lot of time in the garden, but keen for something beautiful to incorporate into your landscape, dwarf conifers are a perfect, hassle-free fit. Dwarf conifers are so named due to their slow-growing nature, with heights ranging from 1 to 6 feet over the course of a decade. Some of the smallest varieties have found popularity as bonsai specimens. Their petite size is ideal for small yards or container gardens. Growth habits are diverse in this plant group, and may be mounding, pyramidal or upright depending on the species. Though evergreen, dwarf conifer foliage varies widely from yellow-tipped to golden to blue to silvery-white or variegated, plus every imaginable shade of green. Naming a favorite has proven impossible for us, and we carry a wide assortment of colors and textures for you to choose from. Low/No Maintenance – Many cultivars grow well in heavy clay or well-drained, sunny soil, and once established, need very little water, fertilizer, or other attention. A cluster of pretty conifers layered in bark dust is practically hands-free once established! 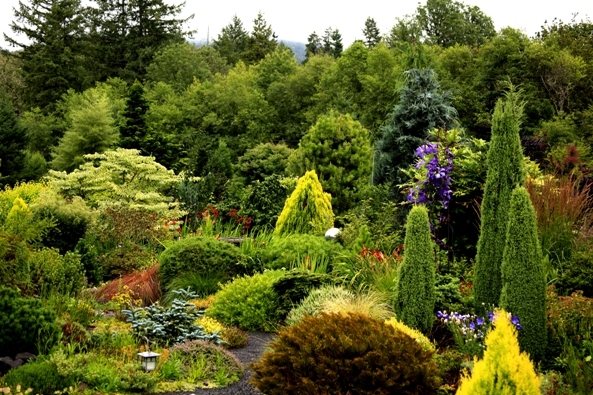 Diverse Use – Dwarf conifers are equally attractive as specimen plantings, vertical anchors for seasonal garden arrangements, wall plantings, shrub borders, or grouped together in containers. It’s worth mentioning that not all conifer shrubs are low-maintenance. Because we can’t help but love the unique and unusual, we do carry a selection of high-needs varieties, too. For the right gardener, they’re well worth the effort for their exquisite beauty–but not a good fit for everyone due to their particular cultivation requirements. 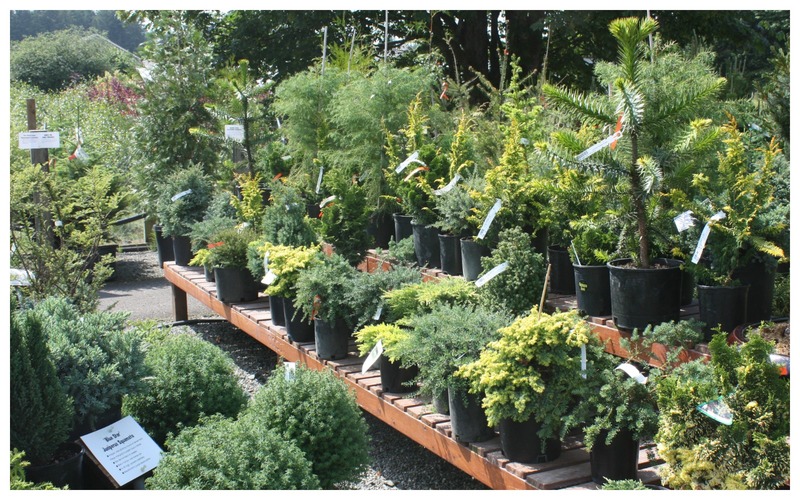 Check in with a staff member if you’re not sure which variety of shrub will meet your landscaping needs. We’ll gladly recommend the plants that are best suited to your soil, location, level of skill, time, and interest. Come see us!